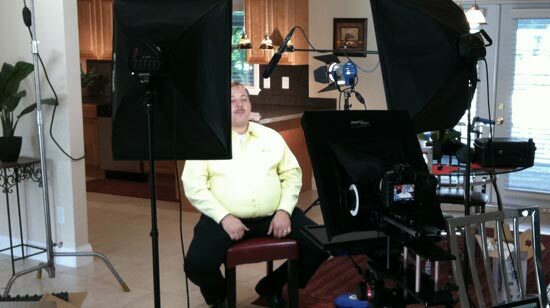 For the high definition video production shoot, we wrote a script based on an interview with Steve and shot the segment in a house they bought and remodeled. Other shooting locations were at several homes the Easy Homes team have fixed up as well as the office of a Lakeland realtor. At Barrett Creative, we shot everything on the Canon 5D Mark ii, recorded audio with the Marantz CF audio recorder, an Arri 5 light fresnel kit, RedRock Micro Cinema rig and teleprompter.